Redmond Organization for Shared Environments (R.O.S.E.) is teaming up with Nature Vision to provide high quality Salmon programming for your school at the Keep it Simple Farm this year. 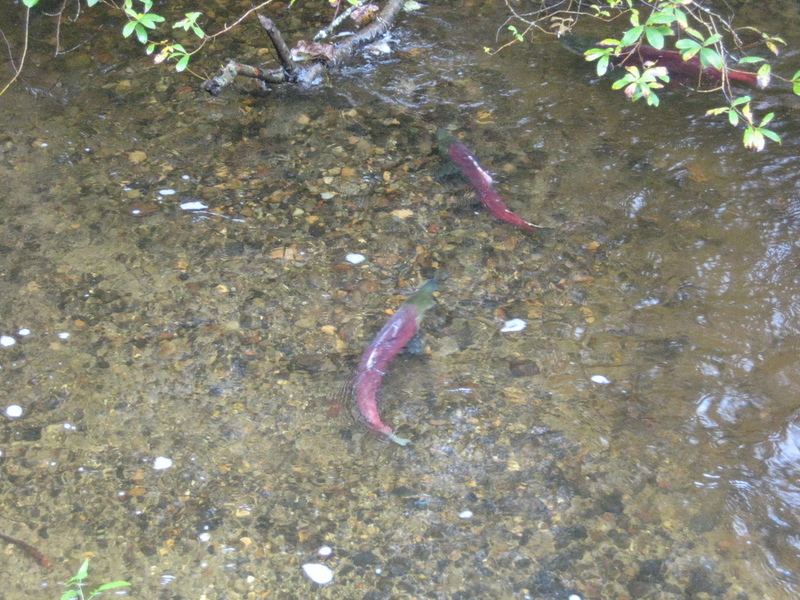 Keep it Simple Farm (KIS) is a popular Bear Creek site to view spawning salmon. Nature Vision's staff of professional and passionate educators have transitioned to take the place of the docent-led program at KIS. Nature Vision programs include the excellent guidance teachers and students are accustomed to experiencing from R.O.S.E docents, with salmon life history and stream ecology, but with a new and innovative spin. Our instructors will work to give your students a memorable, inquiry-driven experience. These programs support the WA State Science Standards, STEM education, and the adoption of the Next Generation Science Standards. Nature Vision programs will be available for $95 for a one-hour program for up to 30 students. We prefer classes of 15-20 for Preschool. If you combine small classes, this fee is not very different from the previous docent donation. As Nature Vision has many water utility partners, we may be able to get one in your area to sponsor the program so that it is free of charge to you. Just ask Nature Vision if payment is an issue for your school. TO REGISTER: To register online or by fax, please visit Nature Vision’s Program Registration page. Scheduling considerations: Nature Vision is available to visit meet your school at the Keep it Simple Farm between the hours of 10:00 AM and 4:00 PM. Please allow one hour for each program. Feel free to schedule programs back to back (10:00, 11:00, 12:00), but if possible please leave 10-15 minutes between. Pre-registration is required. We are looking forward to continuing this exciting new partnership to the Keep it Simple Farm! If you have any questions about Nature Vision or these programs please do not hesitate to email us at info@naturevision.org or call us at 425-836-2697. Website Questions? Email the webmaster.